Antari HZ-300 Haze Generator DJParts - All Variety of Parts that DJ Needs. Home > Lighting/Snow/Fog/Bubble Machine > Antari Fog & Snow Machines > Antari Low Lying Fog Machines > Antari HZ-300 Haze Generator - Free Shipping!! Antari HZ-300 Haze Generator - Free Shipping!! 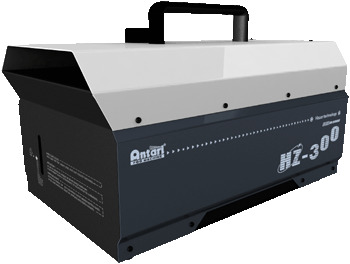 The HZ-300 is Antari's professional hazer. It is capable of producing large quantities of haze quickly and quietly. In addition, with DMX on board, operators are able to control the unit remotely using the DMX-512 standard. The HZ-300 will provide very large amounts of fine, translucent haze in any environment. - Cable Length: 25 ft.